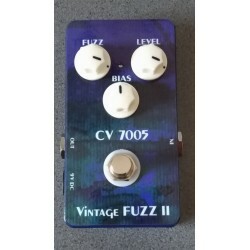 Retrouvez le son fuzz des années 60 / 70 grâce à la conception 100% analogique et à la qualité des composants utilisés. Ajout d'un réglage de bias permettant de gérer l’attaque et l’agressivité. 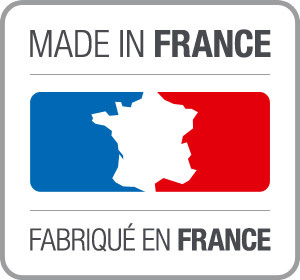 Composants audio (résistances carbone, condensateurs Panasonic FC et Wima). Circuit imprimé double face trous métallisés avec plan de masse recto et verso. 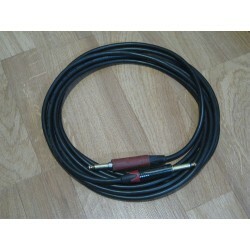 Vrai bypass, jacks Neutrik, potentiomètres Alpha 16 mm. 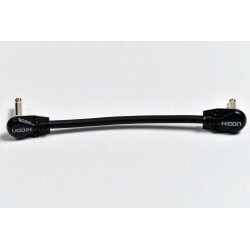 Grace à son inverseur de tension interne la Vintage Fuzz peut etre alimentée depuis un bloc d'alimentation 9V DC à sorties isolées ou non. 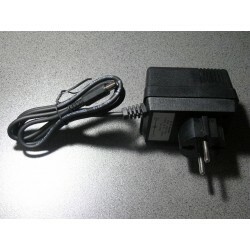 Alimentation externe 9 V DC standard (non fournie) (négatif au centre). La pédale est protégée contre les surtensions et les inversions de polarité. The 2 SA 202 model (named after the type of transistors used) of Vintage Fuzz II replicates the famous Fuzz Face sound of Jimi Hendrix. 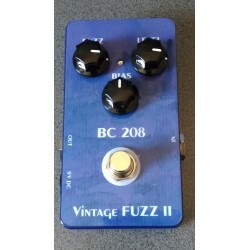 However, unlike older models of fuzz (and even some current ones), this fuzz is very quiet with a barely an audio ‘ssshhhh’ when turned up full. 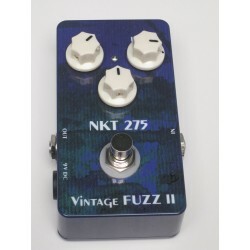 With the Bias rotated fully clockwise there is a velvety fuzz tone reminiscent of the 1960s and 1970s, but this Vintage Fuzz II model offers so much more. Turn up the Fuzz only half-way and with the Bias cranked fully counter-clockwise (or thereabouts) and you can achieve some very classic rock sounds on a clean amp channel that produces a breaking-up and overdriven quality without any mess or fuss. 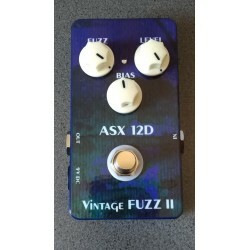 When combined with a driven or ‘hot’ amp the Vintage Fuzz II calms the harshness and warms the signal, although I recommend keeping the Fuzz level between 9-o’clock and 11-o’clock at most. Not only do you get a more organic tone when combining this fuzz with a more modern type amp, but the effect is more 3-D to the ears as the harmonics jump out like crazy. 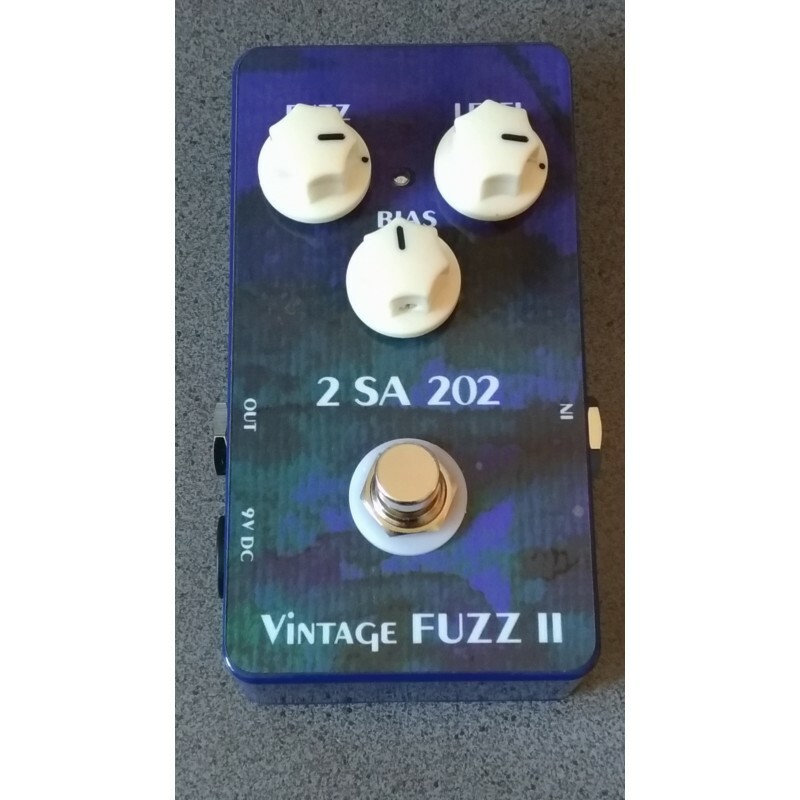 The Vintage Fuzz II (2 SA 202 model), developed by Doc Music Station (France), is a highly diverse fuzz and at a fair price of 159 Euro. This model is powered with two SANYO NOS 2SA202 transistors (hence the sub-name of the pedal) to bring you closer to Hendrix himself. 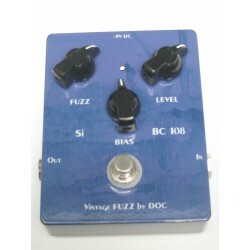 Consequently, Denis over at Doc Music Station did an outstanding job at reproducing the old Fuzz Face, but this pedal proves superior in both noise reduction and versatility in how it interacts with amps and other pedals at various levels of ‘fuzz’ and ‘bias.’ Whether you’re trying to re-create classic or psychedelic rock tones, or even to tame some high-gain amps to produce a less sterile sound (with added warmth and dynamics), the Vintage Fuzz II (2 SA 202) is a worthy investment. 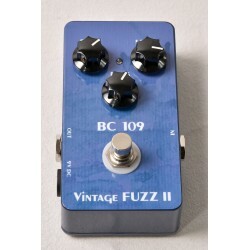 This fuzz varies considerably in tone and whether you want a thick, heavily saturated fuzz sound, or a moderately distorted rock ‘n roll sound. 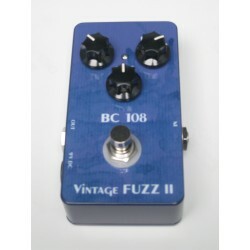 Of course, the effect of this pedal when combined with a clean amp or dirty amp signal varies considerably, and the degree of Fuzz and Bias will need to be adjusted accordingly and relative to your needs (and sound of the amp). With a clean amp you can produce a nice rock sound (similar to going through a Fender Bassman amp) with some decent breaking-up and with the Fuzz at low to moderate levels and the Bias turned toward counter-clockwise (keeping the Fuzz relatively low and the Bias up full counter-clockwise works as a nice boost as well). 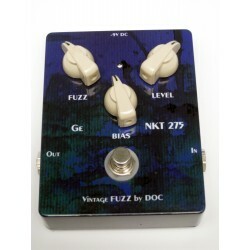 Obviously, if the Fuzz is up very high you can get a rumbling fuzz (Bias toward counter-clockwise) to a very velvety fuzz (Bias all the way clockwise). When combined with a dirty amp, even a high-gain amp, you can use the Vintage Fuzz II to tame any harshness, make the tone thicker and increase harmonics and dynamics considerably. In the demo video I added the Vintage Fuzz II to a modern amp tone (via the Le Lead preamp) and the result was much richer and with improved character. The fine graininess and squeals produced sound fantastic to my ears. 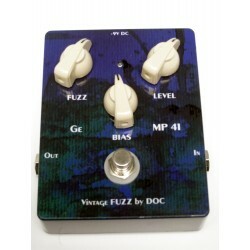 Weighing 230g (8oz) and measuring in at 113 x 67 mm (about 4.25 x 2.25 inches), the Vintage Fuzz II is of standard pedal size. Its chassis is a Hammond 1590B aluminum case that is both lightweight and provides shielding of the electronic card. 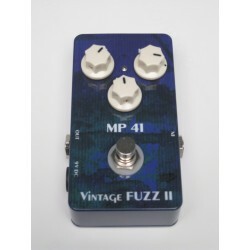 One-hundred percent Analogy and a True Bypass pedal, the Vintage Fuzz II has quality plastic knobs and the pots feel both solid and smooth when turned. It has Neutrik jacks and Alpha 16mm potentiometer faders for Fuzz, Volume and Bias pots. 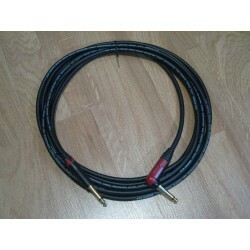 Other audio components comprise of carbon resistors and Panasonic CF and SMF capacitors. The footswitch is somewhat close to the Bias knob, but that knob is of a good quality, and so any slight stomping pressure on the Bias knob should not pose any concern. The LED on/off light is small and well protected by the three knobs. 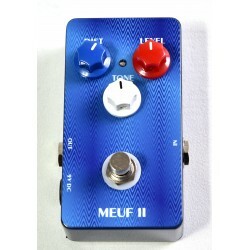 It is powered by a standard 9VDC (negative center) power supply, and due to its internal voltage inverter this pedal can be powered with isolated outputs or not.